She was on Trans Atlantic Voyage Number 1014, Westbound from Southampton and Cherbourg to New York City. The vessel disembarked on September 7 set to arrive in New York on September 12. 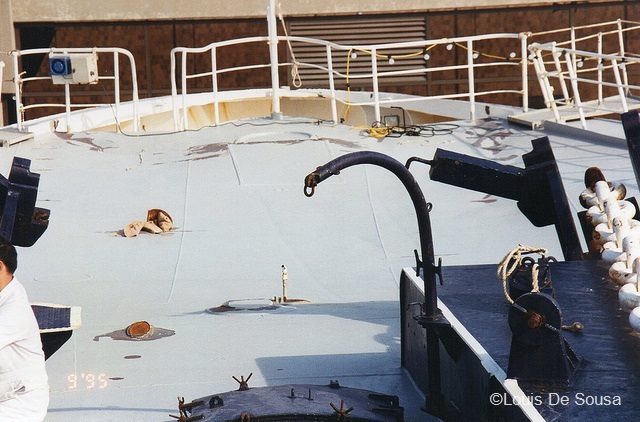 On night of the 10th to 11th September 1995 the ship was slammed by a 95 foot high wave, followed by two smaller waves. 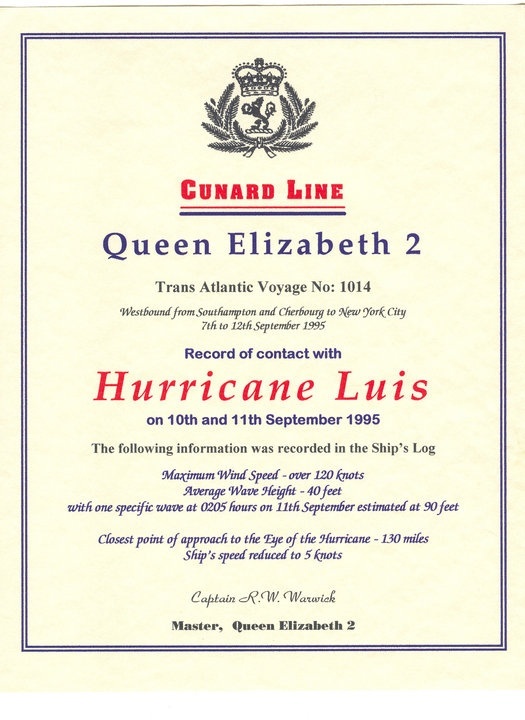 The captain, Captain Warwick, reported winds to 130 miles per hour with average wave heights of 40 feet. The captain had changed course to avoid the hurricane, but the storm had created high seas, with huge swells over a wide area. Even though the swells were high, the captain and crew on the bridge say they were not hit by a swell, but instead a rogue wave. The captain said, "At 0410 the rogue wave was sighted right ahead, looming out of the darkness from 220°, it looked as though the ship was heading straight for the white cliffs of Dover. The wave seemed to take ages to arrive but it was probably less than a minute before it broke with tremendous force over the bow. An incredible shudder went through the ship, followed a few minutes later by two smaller shudders. There seemed to be two waves in succession as the ship fell into the 'hole' behind the first one. The second wave of 28-29 m (period 13 seconds), whilst breaking, crashed over the foredeck, carrying away the forward whistle mast." Thanks for the picture, you can see how much it "bent" her.